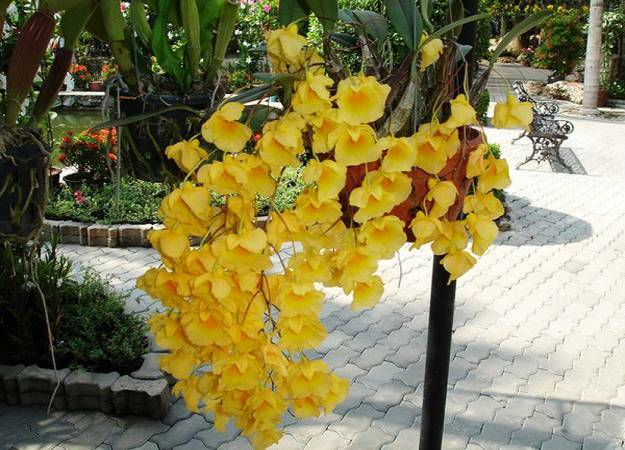 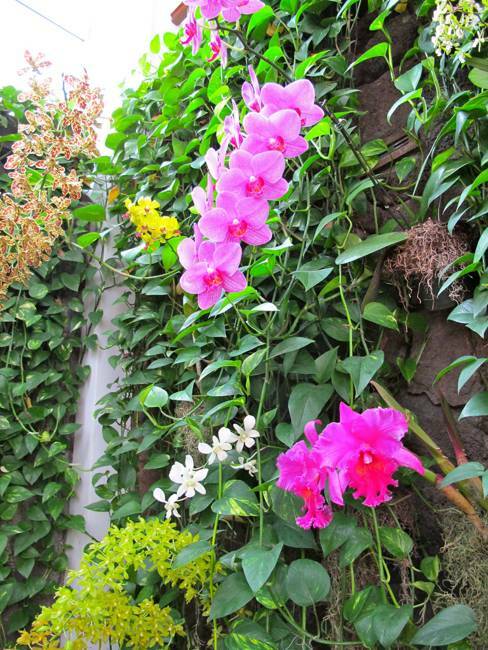 Backyard landscaping ideas that include orchids in a garden looks fantastically romantic and very attractive. 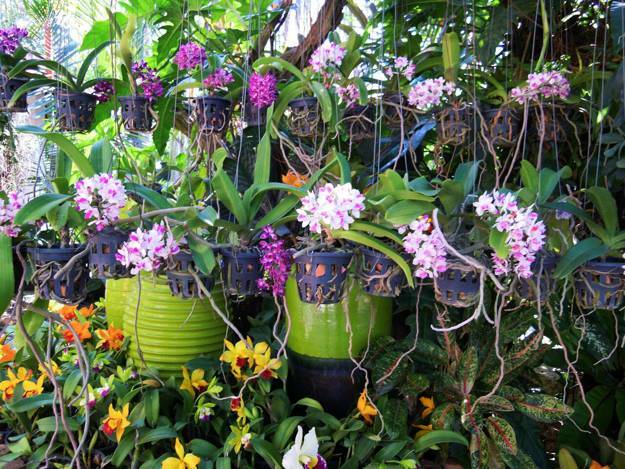 Colorful and bright orchids in hanging containers make unique gifts and can be used for vertical garden design or space saving backyard landscaping. 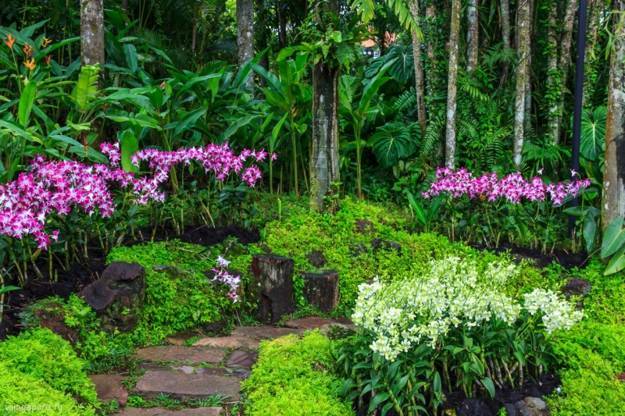 Lushome shares a collection of beautiful ideas for garden design with orchids that bring unique flowers into gardens and accentuate yard landscaping with elegant and sophisticated touches. 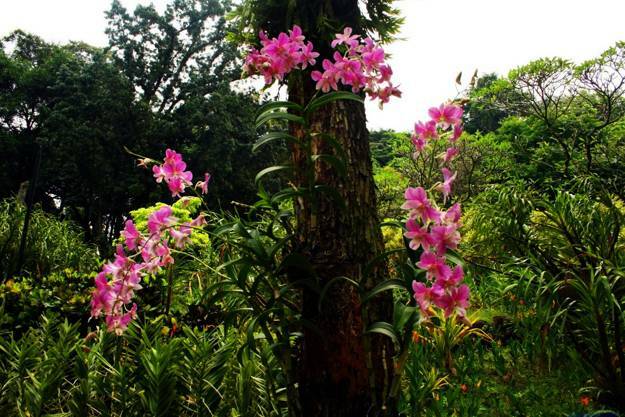 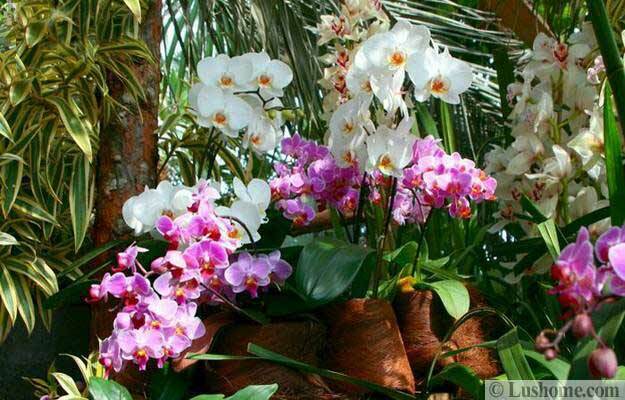 Garden design with orchids requires wise watering. 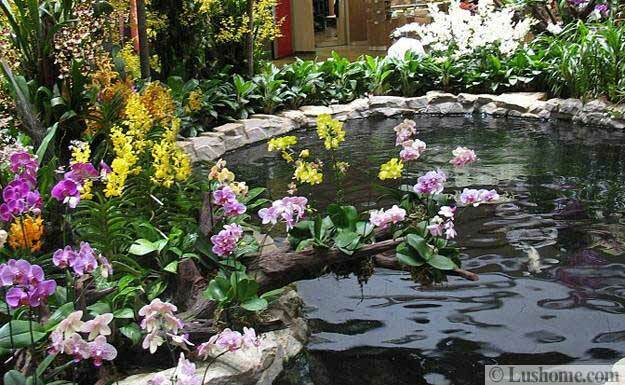 Water can be one of greatest destroyers of orchids used in backyard landscaping or kept as houseplants for home decorating. 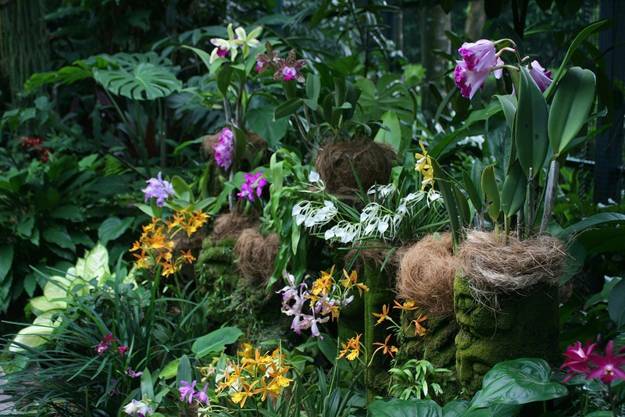 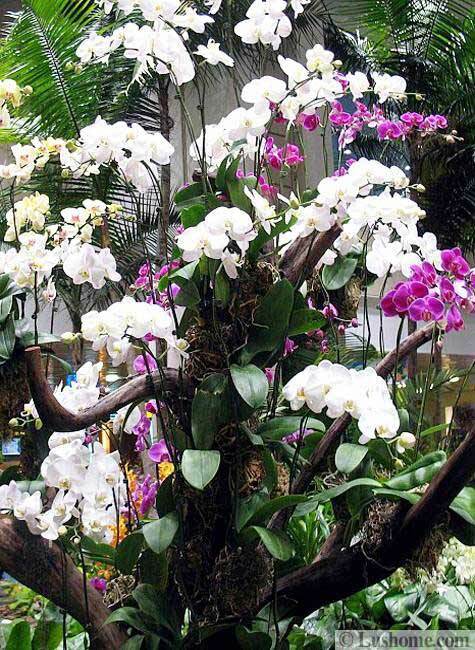 Orchids roots need to dry out between waterings to keep the flowering plants healthy and beautiful. 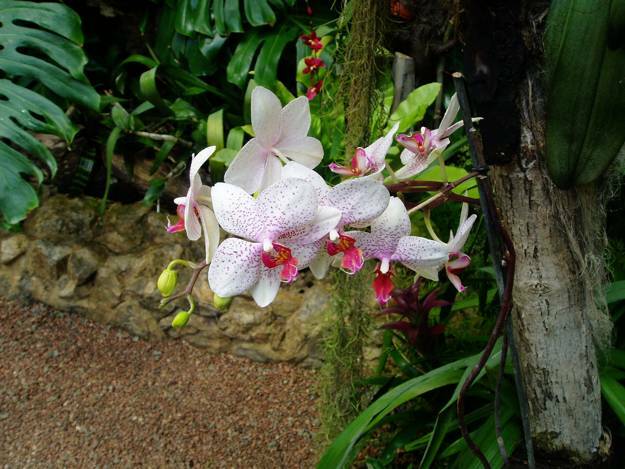 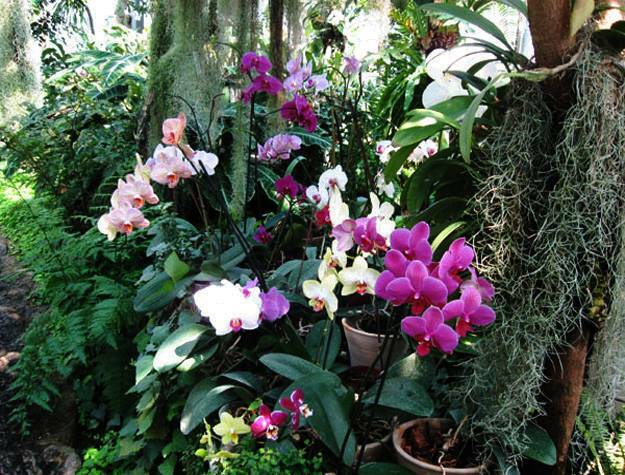 Also orchids can be grown in water, creating a surprising and impressive accents for lush garden design. 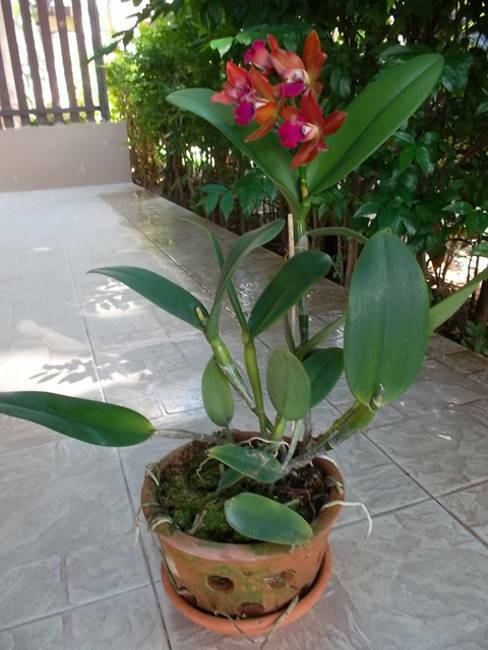 Orchids can live and bloom when grown in a container of water, as these flowering plants can be very happy in a pot containing the expensive orchid potting mix. 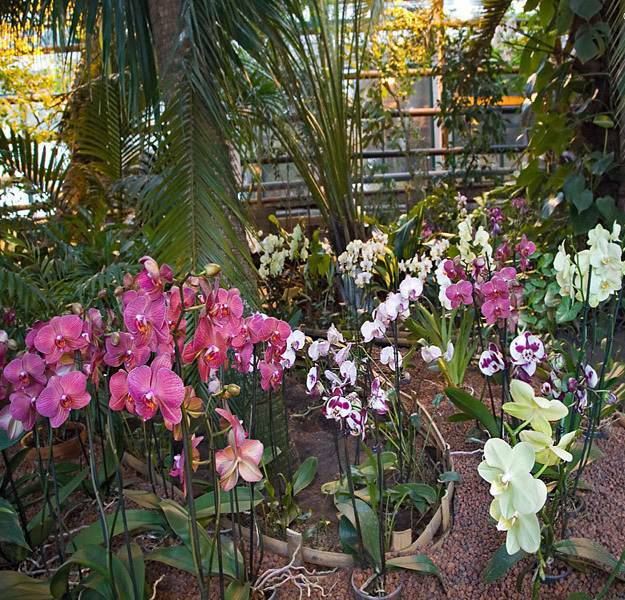 The roots of an orchid that grow above of growing medium can adapt to water, but the grower should make sure that these roots do not rot. 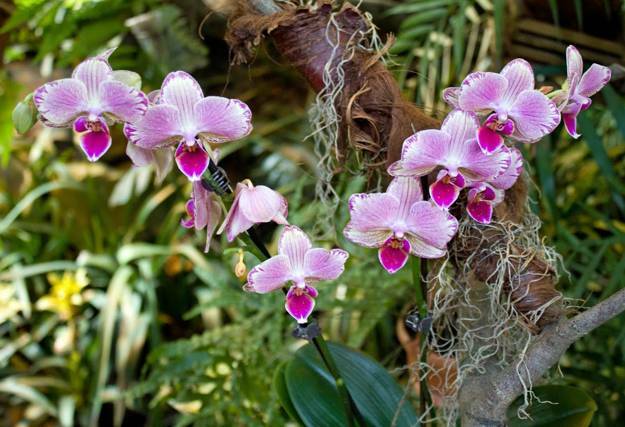 Orchids develop water roots for living in water. 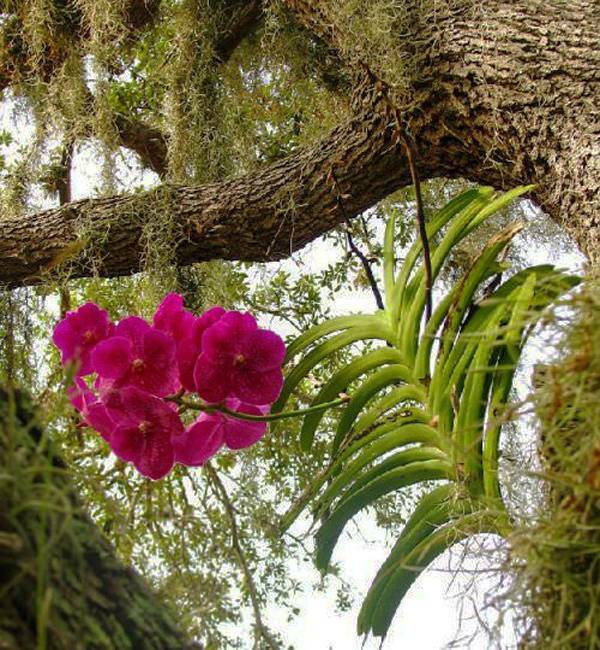 Before putting an orchid into water, the old roots must be completely removed. 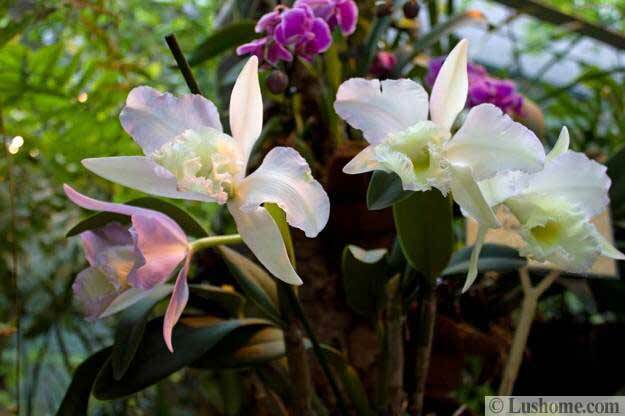 After that an orchid should be placed into a jar or glass with water to cover the bottom of the plant and kept upright until the new water roots can provide support. 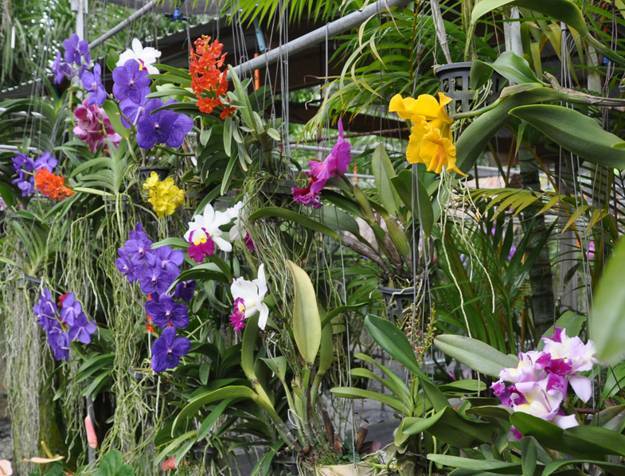 Any tall container is great to keep the orchid upright. 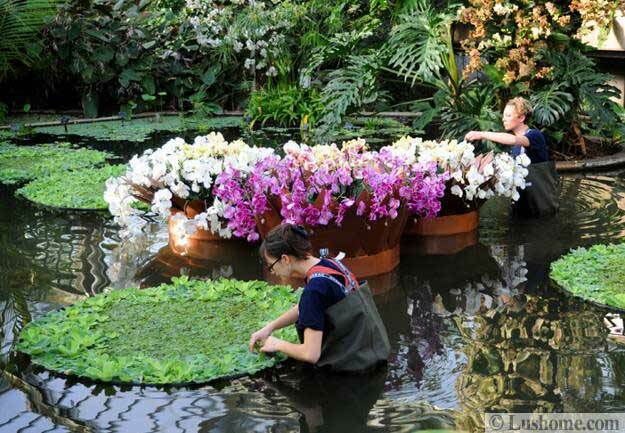 Daily watering provides a new influx of oxygen. 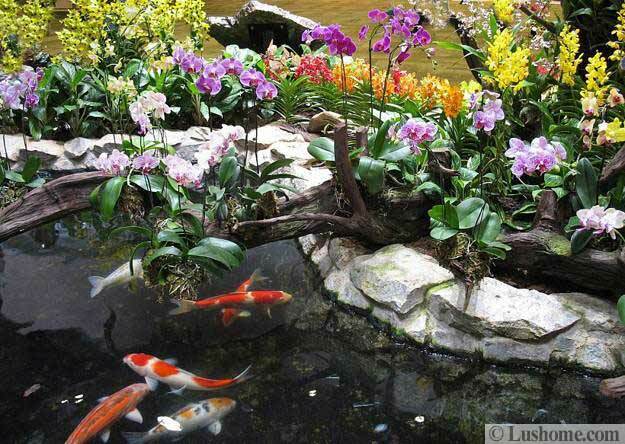 Changing the water weekly helps keep these flowering plants healthy. 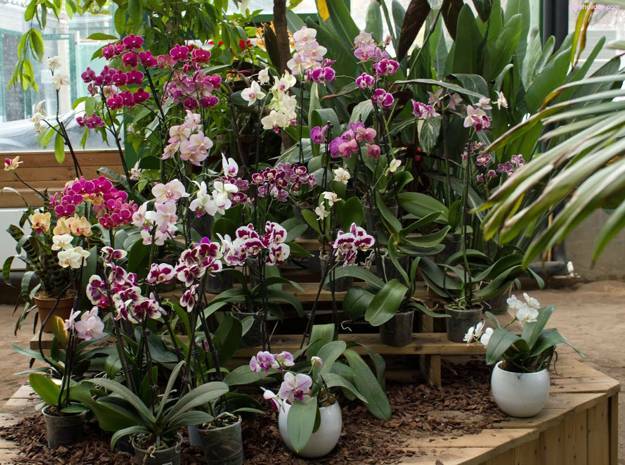 Grown in the orchid potting mix or water growing orchids need the right amount of light and the proper temperature. 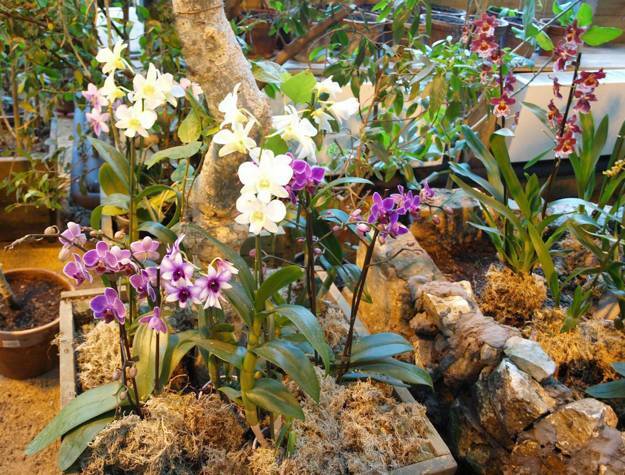 Windowsills and places with additional artificial lighting are perfect for orchids. 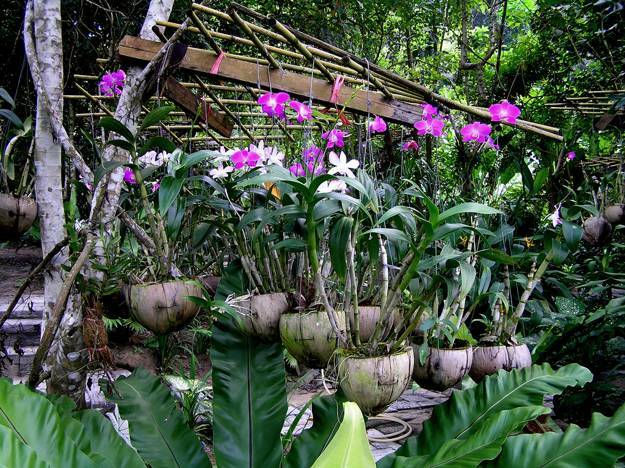 The orchids grown in water may require larger containers when the roots are pressing too firmly against the sides. 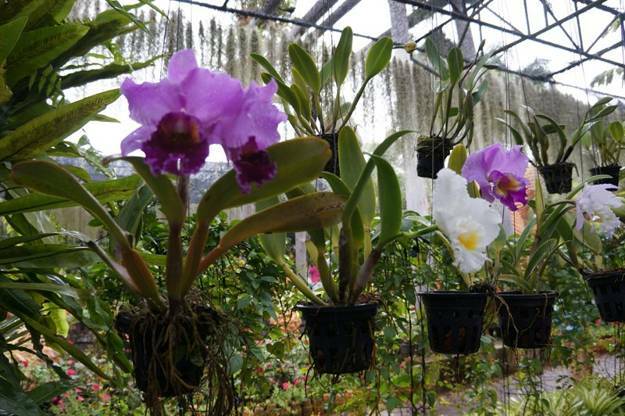 Growing these flowering plants in orchid potting mix or water can be a new experience for creating unusual and spectacular garden design. 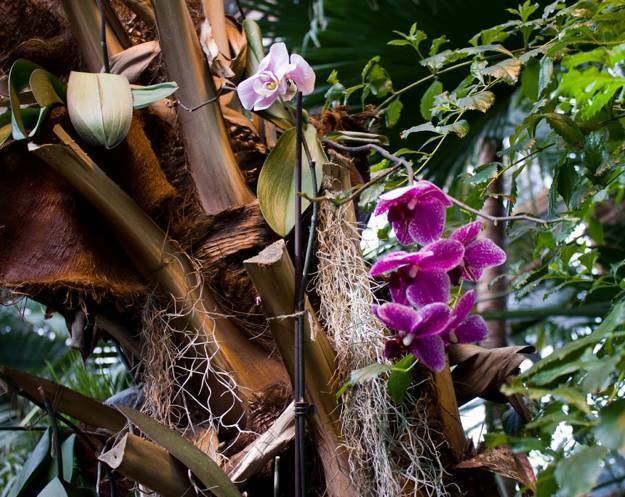 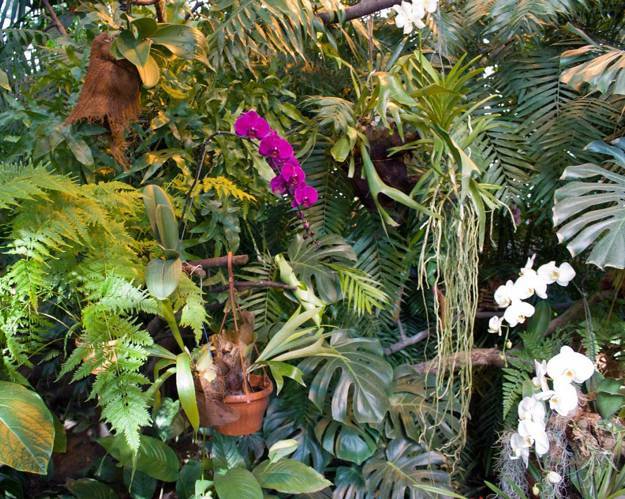 The orchid lovers can give these plants a new life and accentuate garden design, caving orchids that may otherwise die because of rotted roots. 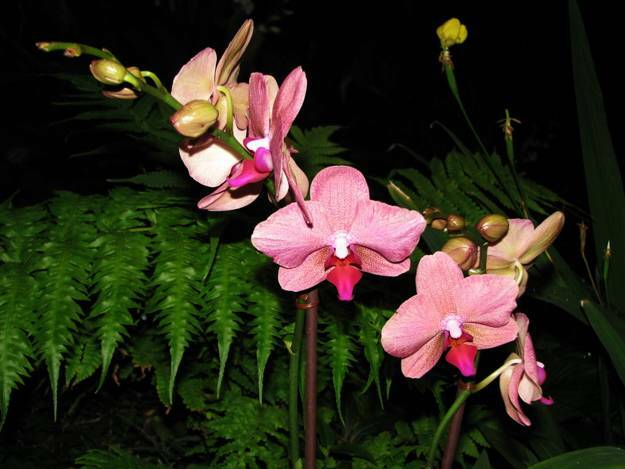 Orchids are one of the most elegant and beautiful flowers in the world. 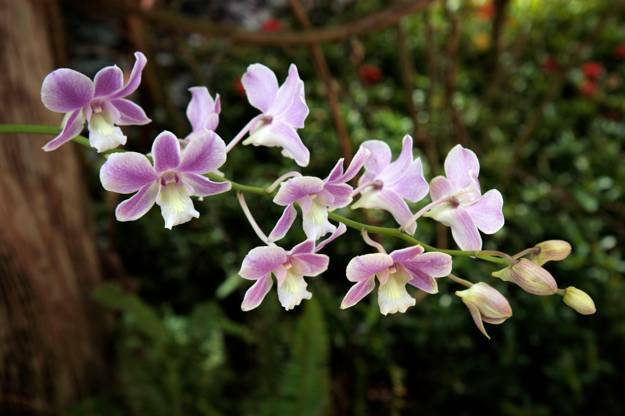 Orchids add rare and surprising details to backyard landscaping and garden design. 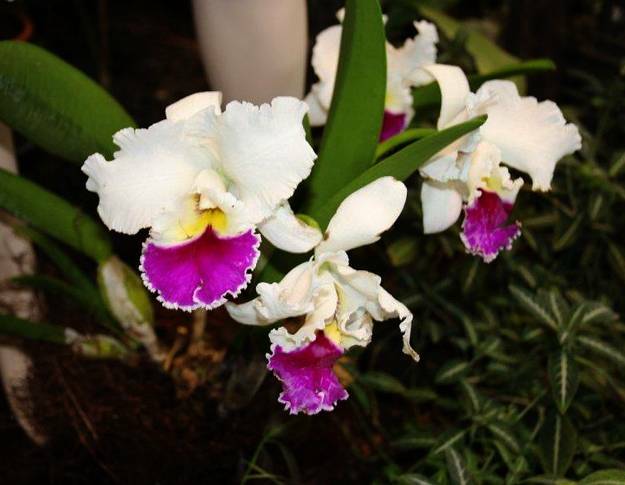 Orchids are one of the most common indoor flowering plants that people like to keep as houseplants for home decorating, but can be used for amazing, spectacular and original backyard landscaping also. 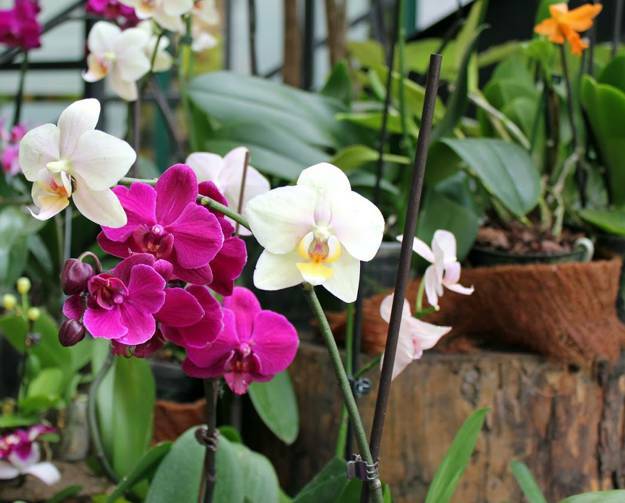 Each color orchid has a specific meaning in different cultures, and can brighten up home decorating or yard landscaping. 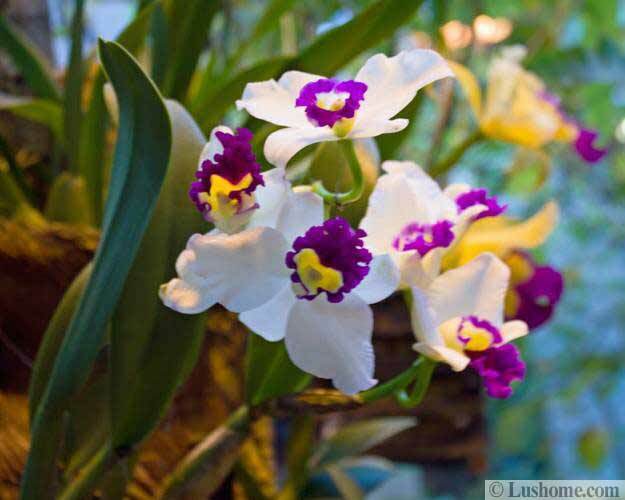 Orchids are interesting, elegant and tender flowering plants to romanticize home interiors and garden design while creating beautiful living spaces with these wonderful flowers.